GOD WORKS IN MYSTERIOUS WAYS Lucas Masters' elderly father has something wrong with him. Initially, Lucas believes he may be sliding toward dementia, but it becomes readily apparent that his father's behavior may not be biological in nature. He is stronger, one of his hands bears a bizarre dark stain, and his behavior has drastically changed. As an Episcopalian priest, Lucas is inclined to interpret scripture metaphorically through a modern lens, but David, a fellow clergyman and family friend, fears that something much worse has infected his father-something Biblical in nature. Could he be possessed by a demon? GOD WILL NEVER GIVE ANYONE MORE THAN THEY CAN HANDLE When an unthinkable tragedy befalls his family, his eldest daughter Phoebe is left in a coma and trapped in the land of Uz, a world of her own imagination that turns out to be much more real than she had known. Meanwhile, Lucas suffers a crisis of faith, lashing out at those who he believes are at fault, and questioning how God could allow something like this to happen. GOD HELPS THOSE WHO HELP THEMSELVES Lucas is a modern-day Job, suffering unimaginable anguish, praying over his dying daughter. Hers is an infection no medicine can heal. To save Phoebe, Lucas must enter Uz, hunt a monster through this nightmare world, and confront the epitome of Evil. 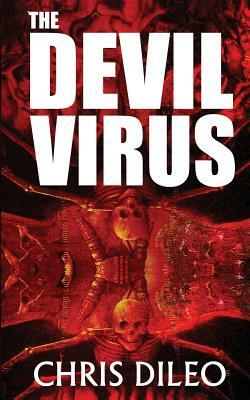 There are all sorts of viruses....but none as horrifying as The Devil Virus.